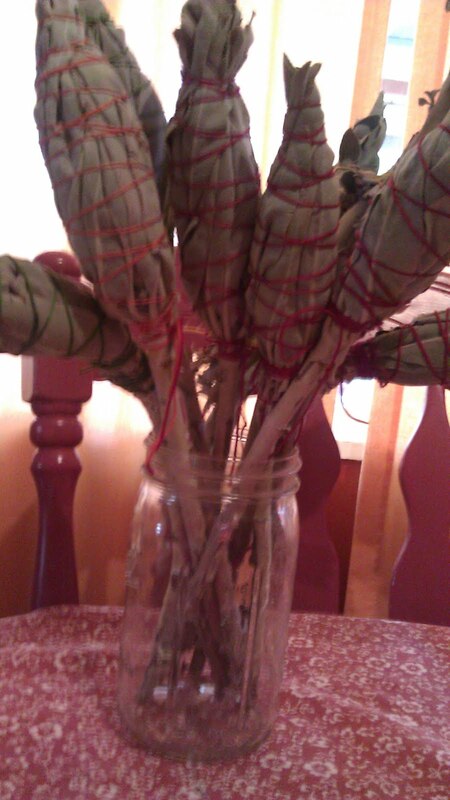 Yesterday one of my gorgeous friends brought me a large bucket of Sage! 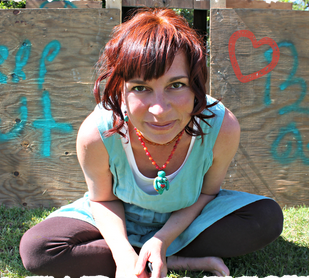 Sage is one of my allies. The intoxicating scent of Sage puts me into a immediate state of CALM....as does Rosemary and Mugwort. So this is my time of year! :). 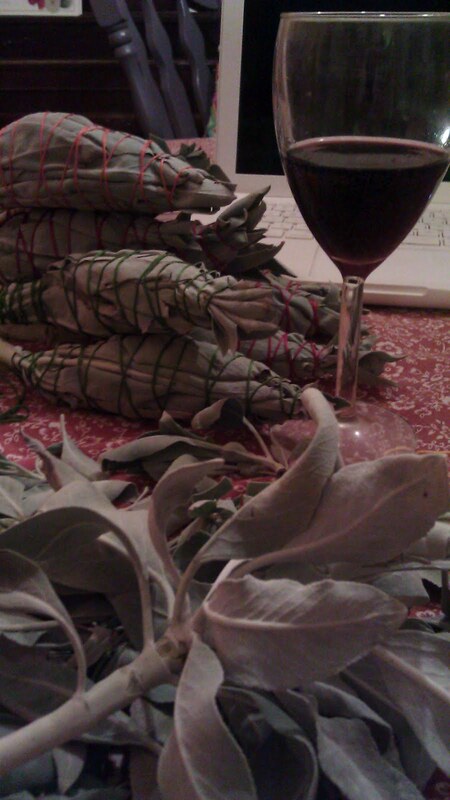 Last night, when the house was still, I sat down with a glass of wine, blues radio, my string, and began tying the Sage sticks & leaves. The sticks will become brooms for my fabulous sage Kitchen Witches (they come when the Sage is ready, and they are definitely my herb Witches! ), and the leaves become bundles. The small, loose leaves I let dry, and later put them in sleep pillows or grind them up for seasoning. I use an abundant amount of bundles, as I am constantly cleansing my thrifting treasures, so tying & drying my own is smart. Magical, mythical Sage; foremost being known for cleansing and chasing away bad Spirits. It is said to attract money, “where Sage grows in the garden the woman rules”, as well as granting a long life and endless youth. Sage is a wonderful herb for cooking, I especially enjoy infusing meats & chicken when roasting them in a clay baker :). If you are tying your own Sage, you will revel in the intoxicating smell, and when you are done, you will try to remove the sticky sap-like residue from your hands. These are the wonderful oils I described :)....No fear, there is an easy way to remove this, and it is surely in your kitchen: Olive Oil. Rub a little olive Oil on your fingers, and the residue will ball up and disappear, while your hands get a bonus oil treatment. My son and I love watching cooking shows together. A few days ago we watched "Cooking Mexican", and they were making crepes with some type of yummy caramel sauce over it....mmm.....just delicious. We decided to make crepes. I pulled out my Julia Child cookbook I recently claimed at an estate sale. Actually, my son went outside to play right when we got started (Nerf gun vs. crepe...the Nerf gun won), so I was on my own. The first 3 crepes were a bit..creative. The third one looked like it could be a crepe. They were all yummy...with homemade elderberry syrup and joghurt. 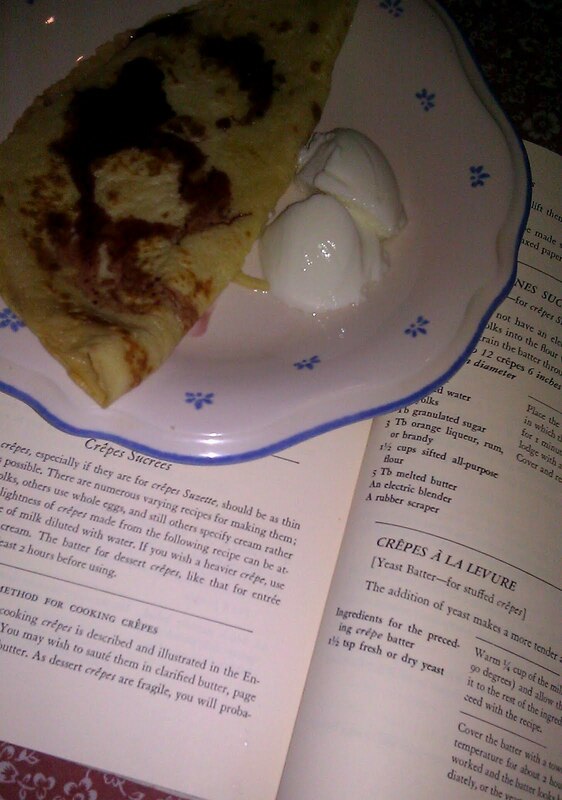 Now, run in the kitchen, get your ingredients, make some yummy crepes :). P.S. We added a little nutmeg & cinnamon to our batter. Happy Imbolc - Modern ploughing of the "fields"
"Another traditional symbol of Imbolc is the plough. In some areas, this is the first day of ploughing in preparation of the first planting of crops. A decorated plough is dragged from door to door, with costumed children following asking for food, drinks, or money. Should they be refused, the household is paid back by having its front garden ploughed up. In other areas, the plough is decorated and then Whiskey, the "water of life" is poured over it. Pieces of cheese and bread are left by the plough and in the newly turned furrows as offerings to the nature spirits. 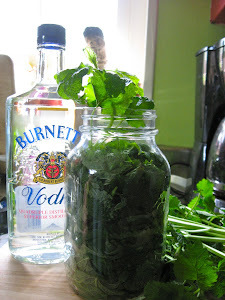 It is considered taboo to cut or pick plants during this time." I love whiskey.... Instead, I am sitting in front of my computer in Subfarmia, perusing the wonderful seed catalogs (some of these are just beautiful works of art. 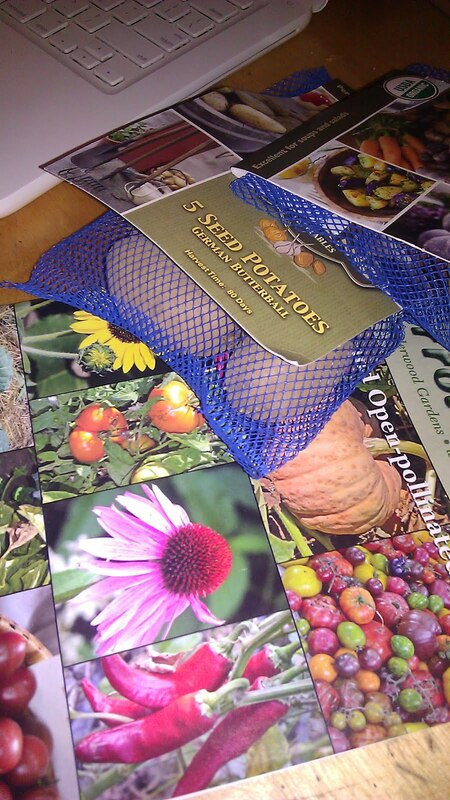 ), and getting ready to plant my trash can potatoes.